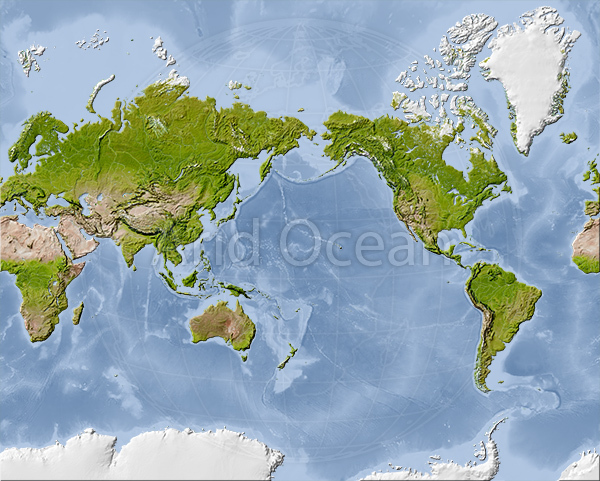 World map, shaded relief map. 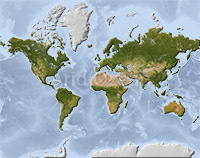 Colored according to natural appearance. See the Description of World Ocean Depth A layer structure for details.